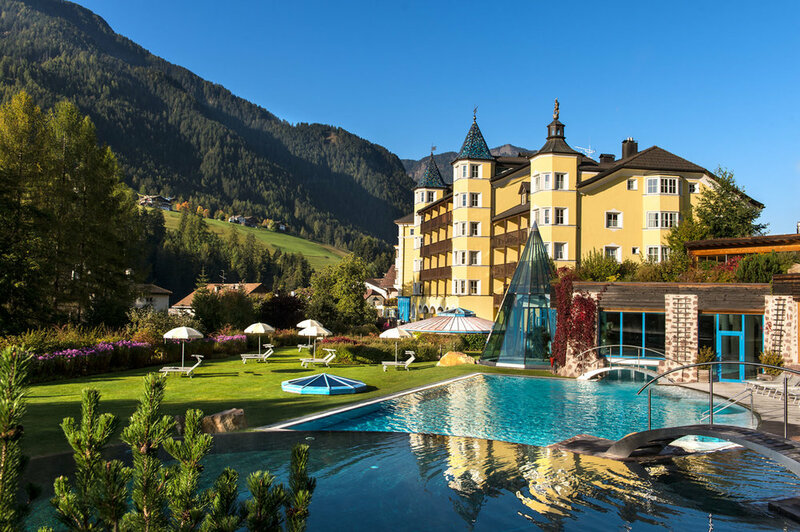 After a competitive pitch, ADLER Spa Resorts & Lodges, the luxury hotel group with properties in the Italian regions of South Tyrol and Tuscany, has appointed Lafontaine PR to represent it in the UK. The 200-year-old family-owned group has four hotels, with a fifth one scheduled to open this summer. The headquarters are in the village of Ortisei in the heart of the Dolomites. Lafontaine PR has been tasked with the generation of interest in the properties and the growth of brand awareness. The launch of the new hotel lodge will be a key part of this year’s campaign. Lafontaine PR will also promote the destinations and the lifestyle that is integral to the ethos of ADLER Spa Resorts & Lodges. With a strong focus on wellness, wellbeing, nature and the great outdoors, and with outstanding food and drink offerings, the five properties are all set in beautiful locations. Guests are welcomed like old friends with a mixture of comfortable familiarity and five-star service. ADLER Spa Resorts & Lodges have their own spa, each offering dozens of tailor-made treatments and using their newly launched ADLER SPA cosmetics line. Each ADLER hotel was created to be an integral part of its environment. Construction materials were sourced locally, and the talented staff come from the surrounding areas. Regional food and drink is showcased and the company aims to leave as little an impact as it can on nature. With ADLER Spa Resorts & Lodges, Lafontaine PR strengthens its luxury travel & lifestyle portfolio, confirming the agency’s position in the luxury lifestyle PR market. Lafontaine PR is based in Shoreditch, at Unit 6, 37 – 42 Charlotte Road, London EC2A 3PG. For more information, visit lafontainepr.com or check our Facebook and Twitter pages. A VERY HAPPY NEW YEAR FROM EVERYONE AT LAFONTAINE PR! As another year ends, we look towards a bright new year, full of opportunities. We have achieved a lot in the last 18 months – thanks to all of you. We have exciting projects and news coming in 2019 that we can’t wait to share with you soon. So here to us! And here to you! 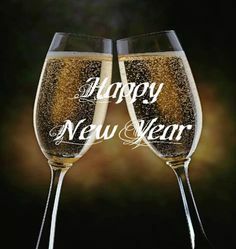 The team at Lafontaine PR wishes you all the best for 2019, be the new year be filled with joy, a good health, love and plenty of new business opportunities and challenges. A VERY HAPPY NEW YEAR, ALL! 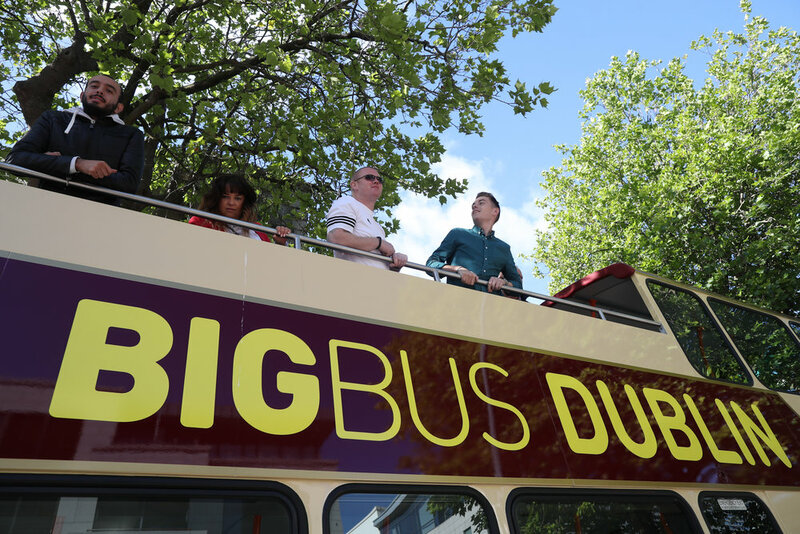 Lafontaine PR was appointed by Big Bus Tours in October 2018 to generate trade and business coverage before and during World Travel Market 2018 in London. Charged with achieving coverage in key trade and business publications, increase awareness of Big Bus Tours’ most recent achievements and successes among trade and travel partners, and with only six weeks to go before the start of the shows, we had to pull out all the stops and do what we are best at. Not only did we target all the travel trade publications, building upon our trusted contacts, we also pitched the business angle to business sections and corporate publications as these stories are independent from WTM and therefore not subjected to the same time constraints. We pitched key messages, commentary and interview opportunities with key trade and consumer outlets. We advised on the press pack creation to get the most media impact – for example brainstormed PR stunts for a major photo opportunity during the show. And in a very short period of time, we achieved coverage in Travel Weekly, TTG and Travel GBI, and set up interviews with The Sun, Bloomberg, Selling Travel and Travolution. Lafontaine PR was appointed to look after the PR for a new, revolutionary online luxury watch broker, Chrono Hunter. To celebrate the launch of the website at the end of October 2018, and to generate awareness (and coverage) of the company ahead of the launch, we partnered with ShortList magazine to organise a competition to win a £6,000 Rolex Submariner. The idea was to guess the exact time it would take for the watch to be freed from a melting block of ice. 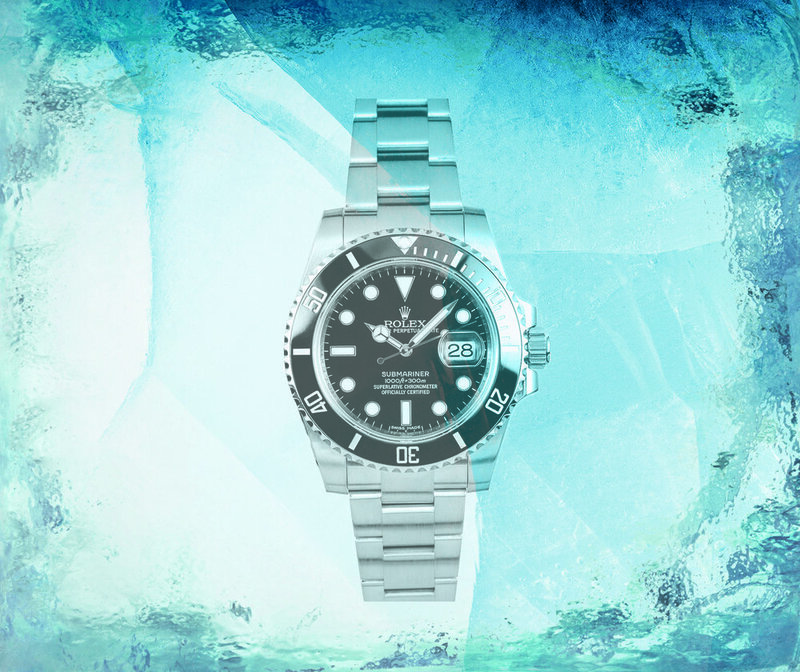 One morning we took delivery of a gigantic bloc of ice with a Rolex Submariner encased within – and after setting everything up with a countdown watch and two cameras, we sat down and waited for the ice to melt. And we waited… The video was then edited to a few minutes and embedded on the ShortList competition page, after entries were closed, for the entrants to check the final time. We were delighted to see almost 3,000 entries to the competition within 48 hours of the competition running – and we noticed a spike of 12,000 visits to the website in the first five days. The final number of entries was 8,600 – with 8,386 specifically asking to be included in the Chrono Hunter database. A success all round! Lafontaine PR is pleased to be working with Dolomighty Communications in advance of the 2018/19 ski season and the 2019 summer season. Dolomighty Communications is an independent network of people, driven by passion and long-term experience in the Dolomites. They are a platform offering communication services across Europe. One of their clients is the ski area of Arabba – Marmolada in the heart of the Dolomites. Lafontaine PR was appointed to help them spread the word about what is new in the Italian Dolomites both in the winter and in the summer and what great value the area offers for visitors looking to explore less well known and less crowded destinations. They are a great company to work with and we hope this is the beginning of a long relationship. Lafontaine PR is moving to Shoreditch. After almost a year and a half in the centre of Soho, we thought it was time for us to change location and move to a bigger and better office. Don’t hesitate to pop by for a coffee of to enjoy a glass of wine on our roof terrace if you are in the area – yes, a roof terrace. And don’t forget to update your address books. As part of the partnership between PONANT and the British Library, Lafontaine PR organised a private viewing of the exhibition James Cook: The Voyages and an evening celebration for a selected group of 100 guests at The British Library. The evening began with Champagne and canapés and an introduction talk by exhibition co-curator, William Frame. This was followed by a welcome speech from PONANT’s Chief Commercial & Marketing Officer, Hervé Bellaiche. In the exhibition guests were able to see artefacts brought back by Cook and his men 250 years ago - similar objects can still be seen today in PONANT cruise destinations, in landscapes that would still be familiar to Cook. Two of PONANT’s guides and natural historians, Cécile and Katia, were present in the gallery, to show guests what they could still see today on a PONANT expedition cruise. For the occasion, PONANT launched its own ‘Cook Collection’ including a selection of 13 voyages sailing the same waters as Cook and his fellow 18th century explorers, Frenchmen de Bougainville and La Perouse. The collection is exclusively available to the UK market, and reinforces PONANT’s strong commitment to the UK market. Australia and New-Zealand, Papua New Guinea, Polynesia, New Caledonia, Easter Island, as well as Antarctica, Alaska and the Aleutian Islands are just a few of the destinations James Cook and his crew of sailors and scientists visited that PONANT passengers can now explore safely and comfortably. “We are proud and pleased to support James Cook: The Voyages exhibition at the British Library. As the world’s leader in luxury cruise expeditions, with 30 years of experience, this partnership is very much aligned with our own philosophy of going where others do not go, emulating the great explorers of history. The world leader in luxury expeditions and only French cruise company, PONANT, is delighted to announce its partnership on the British Library major new exhibition James Cook: The Voyages marking 250 years since James Cook’s ship Endeavour first set sail from Plymouth. The exhibition, taking place 27 April to 28 August 2018, will feature stunning artworks, original maps and handwritten journals, from iconic depictions of people and landscapes by expedition artists and local dignitaries. This comes at a time when PONANT is launching a new class of ships, The PONANT EXPLORERS. The small luxury expedition vessels are specially designed to bring passengers where others do not go. Each of them will feature the world’s first multi-sensory underwater lounge, the Blue Eye. PONANT has just announced the order of two more ships in the EXPLORERS series bringing the number of new ships being launched between 2018 and 2020 to six. The new ships will bear the name of famous French mariners and explorers: Le Lapérouse, Le Bougainville, Le Dumont d’Urville, Le Champlain, Le Bellot and Le Surville. “We are proud and pleased to support James Cook: The Voyages exhibition at the British Library. As the world’s leader in luxury cruise expeditions for the last 30 years, this partnership is very much aligned with our own philosophy of going where others do not go, emulating the great explorers of history. The Sheppey Inn, a gastro-pub in Somerset, with a great restaurant, three bedrooms and two additional cottages scheduled to open this summer, has appointed Lafontaine PR. The pub, on the Somerset levels in Godney near Wells and Glastonbury, attracts a mix of locals and visitors from further afar with a great selection of local ales and ciders, fantastic food and an eclectic mix of entertainment from local musicians. Lafontaine PR will work with the Sheppey, already holder of an AA Rosette for Culinary Excellence, an AA 4-star award for the rooms and a Taste of the West Gold award, to raise awareness of the food, drink, accommodation and entertainment offering. Lafontaine PR secured a four-page spread in last Saturday's Times Magazine for luxury travel and property client, Godney Arts House. The stunning rural-chic self-catering space sleeps up to eight people in three beautifully decorated en-suite bedrooms and is designed as a living gallery where furniture, fittings and artworks are for sale. The house can be rented for a couple of days or a full week - mid-week bookings start from £495 for two nights and include a welcome hamper full of local produce. In a riverside hamlet on the Somerset levels, within two minutes’ walk of a great local pub, the stylish rural accommodation is surrounded by open countryside and the beautiful Mendips, with their caves and gorges, walks and nature reserves. It is also in easy reach of famous Somerset attractions. A short cycle ride away sits Glastonbury with its eclectic shops and Tor, as well as England’s smallest City, Wells, with its magnificent cathedral, the Bishop’s Palace and beautiful moat, and biweekly farmers market. Just a short drive away is the World Heritage Site of Bath, the vibrant city of Bristol, the artisan hub of Frome and Hauser and Wirth’s Somerset gallery in Bruton. Somerset is a lively region with many festivals, fairs and cultural events taking place throughout the year. October saw Lafontaine PR host a reception for key travel media representatives on behalf of luxury cruise expedition company PONANT. The event, at Bentley's Oyster Bar and Grill in London, celebrated the launch of the world's only underwater lounge, the Blue Eye, and gave journalists the chance to hear from Captain Florian Richard, who is overseeing production of Ponant's four new luxury yachts and expedition leader Florence Kujper. Captain Richard gave a talk on the Ponant's new explorer class ships and Florence Kujper outlined some of the expeditions the cruise company undertakes. Guests included representatives from the Times, Press Association, The Telegraph, the BBC and Departures. Lafontaine and Ponant will be running a series of press trips on the two newest ships, Le Lapérouse and Le Champlain, next summer. Nana’s Manners, a family-owned children’s cutlery company, appointed Lafontaine PR to handle the publicity around its appearance on BBC’s Dragons’ Den on October 1 2017. Lafontaine PR’s brief was to generate interest and brand awareness around the owners’ successful appearance on the TV show with supporting coverage in national newspapers, business titles and broadcast. After a very successful month-long campaign, coverage and broadcast secured included The Mail Online, The Sun, The Sun Online, BQLive and Insider.co.uk. Founder Kathryn Baldrey-Chourio also appeared as a live studio guest on BBC Radio 4’s Woman’s Hour to discuss the importance of table manners and etiquette. Kathryn, who was a primary school teacher for 10 years and has two young children, saw the struggle many youngsters had with knives and forks and decided to do something about it. As a teacher she had used pencil grips, training scissors, easy grip rulers, yet there was no adapted cutlery out there. Research and a patent search confirmed this, so she set about designing some herself. Nana’s Manners cutleryis already available to buy online and in some shops, but the couple’s pitch for investment from the Dragons’ Den and the following media coverage could take the company into the big league. Lafontaine PR has been working with new innovative parental control application, ScreenLimit, to increase the number of subscribers and downloads. Through carefully targeting key publications in the consumer technology, parenting and education sectors, we are aiming to position ScreenLimit as the leading online parental control tool. Within three months, Lafontaine PR achieved coverage for ScreenLimit in national newspapers such as The Sun and The Sunday People, as well as parenting and tech websites. Lafontaine PR is delighted to announce it has been appointed by luxury French cruise company and expedition leader, PONANT. Lafontaine PR was tasked with increasing awareness of PONANT in the UK and assisting with the launch of the world’s first underwater lounge, the Blue Eye, which will feature onboard four brand new ships launching in the next two years. Working closely with consumer lifestyle and trade media to promote PONANT in the UK through media events, ship visits and press trips, corporate profiling and a regular programme of press releases, Lafontaine PR will help PONANT make a real impact on the UK market. The four new Explorer-Class ships combine great design and cutting-edge technology to minimise their impact on the environment and will enable Ponant to offer an ever-wider range of destinations. The only French-owned cruise line and the world leader in luxury expeditions, PONANT brings a French touch to sailing the world’s oceans offering discreet service and fine dining. PONANT was created in 1988 by Jean Emmanuel Sauvée and a dozen officers of the French Merchant Navy. Lafontaine PR is a content-first consultancy on a mission to capture, tell and sell the stories that make brands part of the everyday conversation. Bringing together experts in social engagement, media relations and content creation. The agency was set up by Julie Giraud and Pete Bell in 2017.
in Soho’s most desirable address, Lafontaine Public Relations is a content-first consultancy on a mission to capture, tell and sell the stories that make brands part of the everyday conversation. Bringing together experts in social engagement, media relations and content creation, Lafontaine PR was set up by Julie Giraud and Pete Bell. Together they have decades of experience in media communications and public relations. Julie left one of the leading and fastest growing independent PR agencies in the UK to set up Lafontaine PR, while Pete was a journalist and a writer with almost 30 years of experience working for national newspapers, magazines and regional TV companies. The agency is founded on two beliefs: that a story can, and should, be told in a thousand ways and that brands should be an integral part of the customer’s life story, not the story in their own right. To realise the ambition Lafontaine PR launches in partnership with creative consultancy gt&i which also designed the agency’s website, to provide seamless delivery of rich content and multimedia for every story and each campaign. Julie commented: “Too often we see agencies going release first and then as an afterthought pulling in online channels and the real conversation shapers in the digital sphere. This means that clients are missing opportunities or spending on multiple agency resources. Julie ran the influencers outreach programme for major clients including Air France, KLM and Stena Line. She is a regular speaker at influencers’ conferences including Traverse and WTM. In addition to social media, Julie’s experience covers traditional media relations, internal communications, crisis communications and corporate and business PR. Before working in PR, Julie was project manager for a web design company in Dublin. She brings her organisational and planning skills into every campaign she leads ensuring timely delivery of outstanding results for every single client. Pete spent the last 12 years at News UK, most of them as a deputy travel editor of The Sun. Before that he was managing editor of Westminster-based Parliamentary news agency Newspoint. As a lobby correspondent and TV reporter, Pete attended and reported on Downing Street press conferences, interviewed Prime Ministers, Cabinet Ministers, opposition spokespeople, and Government officials, as well as providing in-depth coverage of general elections. Pete brings his unique skills and long experience as a reporter and interviewer to offer bespoke media and crisis communications training. Lafontaine PR launches with clients including: Ponant, French market leader in luxury cruises; boutique home Godney Arts House and their first ‘lifetech’ client, the cross platform app ScreenLimit.